In the beginning there was the code - What does this famous statement actually mean? It simply points to the fact that words and numbers created the Matrix! Many New Age philosophers and Kabbalists insist that a specific word said at the correct frequency may manifest matter out of thin air! Within many spiritual texts we are told that this is how Creation took place on this planet, by a being that had a special dictionary housing the vocabulary for creation. If one takes this theory so literally, then it may be hard to believe, but from another viewpoint it may become clearer. If we can contemplate that words were used from a specific language, embedded with specific frequencies - to program how this reality construct is perceived, especially how the minds of the beings within the bubble (Earth) perceive the reality - then we are getting closer to the truth. 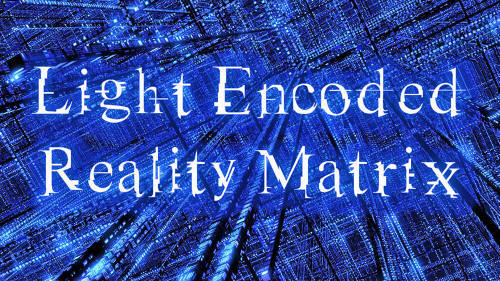 Just like a computer program can be written to behave in a certain way, or how a virtual reality is experienced within a video game, so can a reality be installed, implemented and broadcasted via specific frequencies from a macrocosmic transmitter, which affects everything microcosmically, within its scope. In our solar system, the sun is the main transformer that "sprays" this reality out in the form of light for us to behold. Unfortunately, we also have a few bodies within the solar system such as our Moon and, arguably, Saturn that has hacked the light/frequency of the original blueprint from the Sun, which is causing us to mistaken the Matrix for the true reality. This is being done by technology above our comprehension that captures photons/light/frequency from the sun, alters it accordingly, and redirects it in the direction of Earth. This causes a distortion. The Moon has been under plenty of debate for many years now, being accused of being a hollow satellite and containing plenty of titanium on its surface - a prime material for constructing space vessels. Saturn is also widely believed to have been a sun in our distant past, which explains furthermore how it may function in combination with our Moon to broadcast a fake reality to the Earth. I welcome you to do your own extra research, although it might be obvious to you now, why it is that so many beings on the planet lose their minds during the full Moon, as the hack is on full power then, in the form of light/frequency! All words are spells in one way or another. We practice spelling as youngsters so that we can learn to spell words and use them as spells within our very own lives. Words hold incredible power! Especially if you have not cracked the true hidden meaning embedded within many of them, which, of course, hints to the spells they keep you under. These spells have their source in the code written into the Matrix! 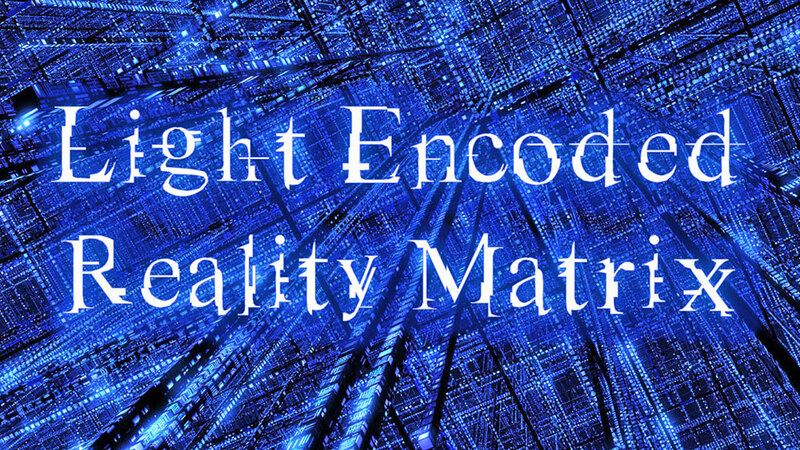 One thing is certain, and that is that the holographic reality we experience does contain a programmed code that was written by the creator. And all beings that find themselves incarnated in this reality, fall under the rules and constraints of the limitations of this code. These rules and constraints mainly make up material laws, as we know it through mainstream science, which has partially decoded the physical (i.e. material) nature of this holographic reality. They like to tell you all the things that you can and cannot do, and you, as an immortal and infinite being of light, have to listen to why it is that you are somehow temporarily mortal. Of course there is a snake in the grass! The mass awakening of consciousness on the planet has the English language to thank for, as it is this language that contains all the codes that hold us in stasis! Believe it or not, the liberation of our infinite selves from this illusory Matrix can be attained by studying English words and their origins (i.e. etymology). Let's analyze the word "intention." After a closer look, you can discover multiple meanings, such as "in tension" - an uncomfortable force exerting pressure on you, and the initial word "intention" - which relates to a focused idea onto an object, an aim or a plan. How does the word "intention" relate to the Matrix mainframe? The mainframe has the intention to keep you in tension! You are the object that is kept in tension. Hence, the word intention is the password to the mainframe. The codes/words hold an arsenal of spells to keep you in confusion, distress and weakness. This effect ultimately leads to the inability to manifest, which uncontrollably leads to becoming what the Matrix has in-stall for you - or shall I say, installed? Each individual is demanded from the Matrix to fulfill a predetermined destiny, which is setup to absorb as much energy from you while you are alive on this plane. This is why the path to sovereignty and total freedom is such a difficult one, because the further one strays from what the creator has in-stall for you, the more torment is experienced in the mind, due to nonconformity to the destiny. As I have mentioned in previous articles, at the moment there are so many attention grabbers in the reality that seek to captivate us so that we can be kept in captivity. Again, please note the connection of the spell, captivate-captivity-captive, those that are captivated by this reality, are in fact, living in captivity, like birds in a cage. Those that try to remove themselves from the Matrix-based consciousness are the bravest among us, as the challenges are the greatest one can face; yet, the rewards are the highest that can be attained. You only become yourself again when you reverse all the spells and turn them back into the five elements which have been bartered from you.